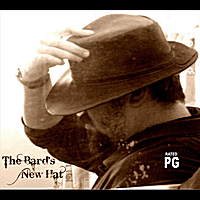 To celebrate the bard's new skullcap, he has published this collection of his favorite stories that he recorded in the past year in various pubs, cafes, schools, and festivals. In the five years after publishing his wildly successful book/CD "You Don't Know Jack" (available on CDBaby), Dave has been performing in schools, festivals, pubs, cafes and event across Canada. But in 2008, he started recording some of his shows and broadcasting them on this blogcast called "Shortening the Road" (shorteningtheroad.blogspot.com). This CD contains his favorite recordings from the past two years, including a story told by his partner Sarah A. Comrie and music is provided by guitarist extra-ordinaire, Shayne Gryn (www.shaynegryn.com). These stories are funny, poignant, inspiring, and highly entertaining. They guarantee to shorten any road that you must travel by at least an hour, if not more.